TechInAfrica – Through a partnership with Clickatell Transact, First Bank of Nigeria launches its Chat Banking channel through a US-based instant app, WhatsApp. The launch of the Chat Banking channel allows the bank’s customers to do their banking activity through WhatsApp chat. First, they need to add First Bank’s WhatsApp phone number or access the First Bank’s verified profile to start a secure chat on Chat Banking channel. Before the launching, Clickatell Transact has been constantly making innovations and improve customer experiences through multiple channels. It offers solutions for banks to improve their performance and services for their customers. The launch of Chat Banking on WhatsApp is Clickatell pioneer innovation. The aim is to create a riskless and convenient business engagement channel for customers. 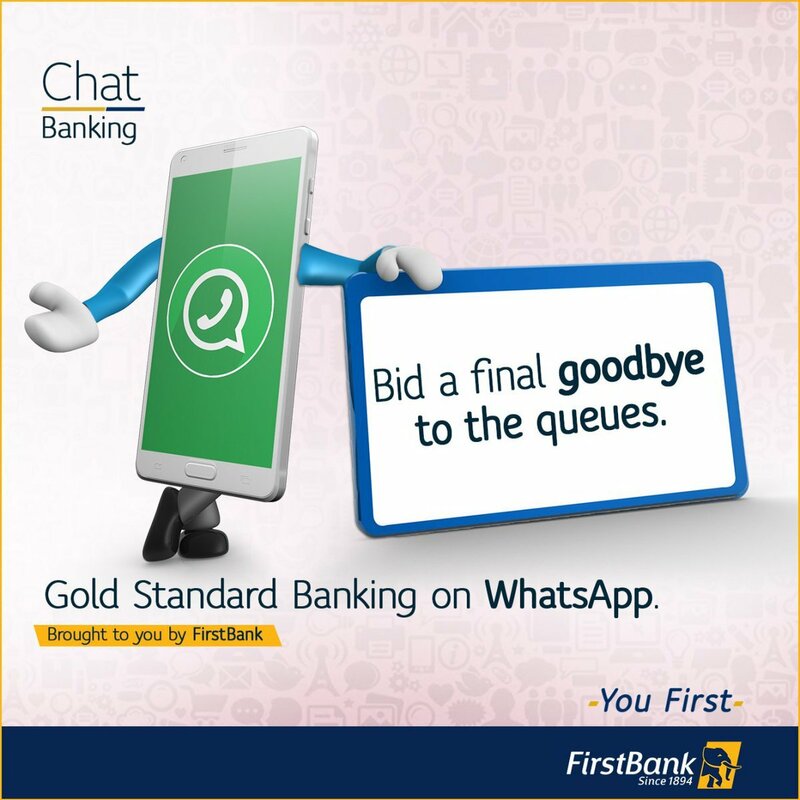 Through the Chat Banking channel on WhatsApp, First Bank offers banking options to its customers, allowing them to do banking activities, such as balance checking, money transferring, payment making, as well as numerous digital products and services that customers are able to purchase right away. This innovation aims to create efficiency and engagement towards customers. In term of the partnership with First Bank of Nigeria, Clickatell is very committed to providing solutions in order to combat economic as well as social problems using Financial Technology (FinTech) innovations.